Magic has never been more popular, and with the huge success of movies like Lord Of The Rings and Harry Potter, now is the time for wizards! 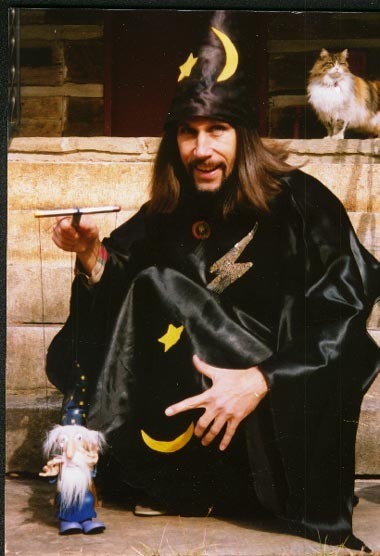 Rock Eblen has been performing his special brand of magic since the early 1980’s. His self-created character WIZAR the Sorcerer is truly a unique experience for kids and adults alike. One moment he’ll quote Shakespeare while producing coins from your ear, and then make sponge balls multiply inside your own hand! Available by advanced booking. Very reasonable rates. Call 828-684-3361 for more info.